A loan of $3,100 helped a member to buy sugar, rice, flour, biscuits, drinks, etc., for her shop. Sahra was born in the town of Gabiley in 1975 and she is 40 years old. 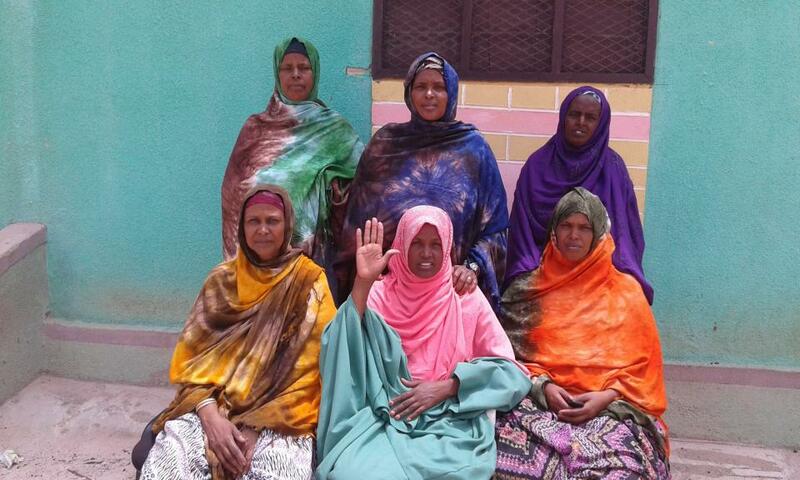 Sahra has 9 children and she is the head of her household. Sahra is a businesswomen who has a small shop in Gabiley. She started her business in 2002 and her shop has been getting better year after year. However, to expand her small shop, Sahra requests a loan of $500 from Kaaba MFI to buy sugar, rice, flour, biscuits, drinks, etc. Sahra is the leader of the Suldan Group, which consists of six female members. Sahra is the one sitting in the middle of the photo and raising her hand. All group members have separate existing small businesses. Kaaba will provide goods as loans to Suldan Group members and then they will make monthly repayments. Kaaba is the only nonprofit microfinance institution currently operating in Somaliland, a semi-autonomous region located within Somalia that is not recognized by other countries. By funding this loan, you are helping this borrower to start or expand his or her business in a region with very limited access to credit. Kaaba has developed loan products in alignment with the cultural context in the primarily Muslim area it serves. To avoid charging interest -- which is opposed to Islamic law -- the organization purchases assets for its borrowers and sells them at a slight markup ranging between 2% and 12%, proportional to the term of the loan. Kiva shares K-MFI’s commitment to increasing access to finance and opportunity. In a region that was severely damaged by civil war and has since largely been excluded from the global financial system, K-MFI is attempting to empower low-income and vulnerable groups to rebuild their communities. Kiva’s lenders’ funds will help the organization provide young entrepreneurs with the means to build successful small businesses.